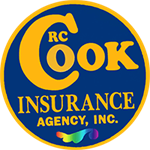 Get your free liquor liability insurance quote from RC Cook Insurance. Call 330-296-3628 for more information. We're located in Ravenna, OH. Or suppose a restaurant serves alcohol at a catered event, where two guests have a fight, and one incurs serious injuries at the hand of a drunken person.